Moscow’s envoy to NATO has said the bloc’s recent moves and future plans aimed at boosting its military presence near Russian borders have no justification and have only served to heighten tensions. 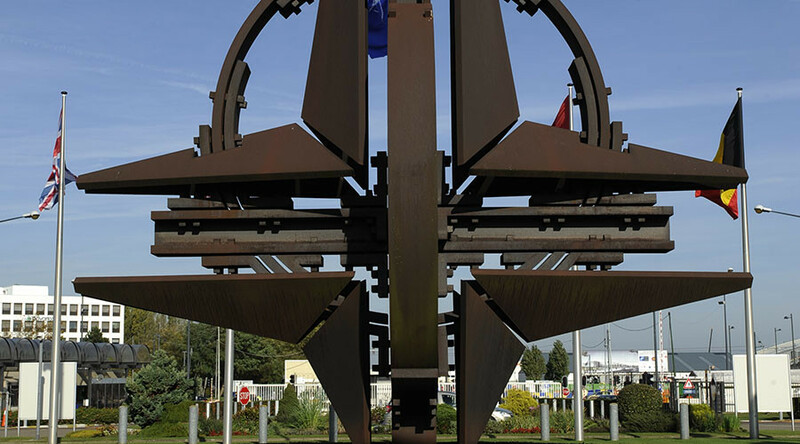 “In essence, by its preparations along our borders NATO tries to impose on us a confrontational agenda that has nothing to do with real needs in the security sphere,” Aleksandr Grushko said in an interview with Interfax. The official added that NATO commanders were not only following existing plans for a build-up of forces, but were also continuing to develop new measures that would ensure the increase of their military presence on the south-eastern periphery of the alliance, including the Black Sea region that Russia sees as especially sensitive. However, the envoy also noted that the Russian intelligence services and military were closely following these preparations and were updating their ability to respond to any potential threat accordingly. “Of course, all of this is being analyzed in detail in regard to the protection of Russia’s justified interests in the security sphere and to choosing the optimum military-political reply to any changes of situation in the security sphere,” he said. In mid-2016, Grushko ridiculed NATO’s preparations for repelling a Russian attack on Poland, saying that there were no plans whatsoever to launch an assault and calling the whole idea of readying for non-existent threats absurd and dangerous. “Their policies dwell in surreal reality and the most dangerous thing is that now they start to implement these policies in the form of military planning and preparations on the territories adjacent to our borders,” the envoy said in a televised interview. Grushko also said that the myth of an alleged Russian threat had been invented in order to justify NATO’s expansionist policies and to bring additional unity to the alliance and the Western political bloc in general.